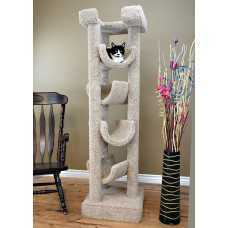 Our Cat's Choice 7 Foot Tall Carpeted Cat Tower has it all. At 7 feet tall and on a huge base you won't need to worry about your kitties knocking it over or tipping it. Actually you may have a hard time yourself knocking it over. 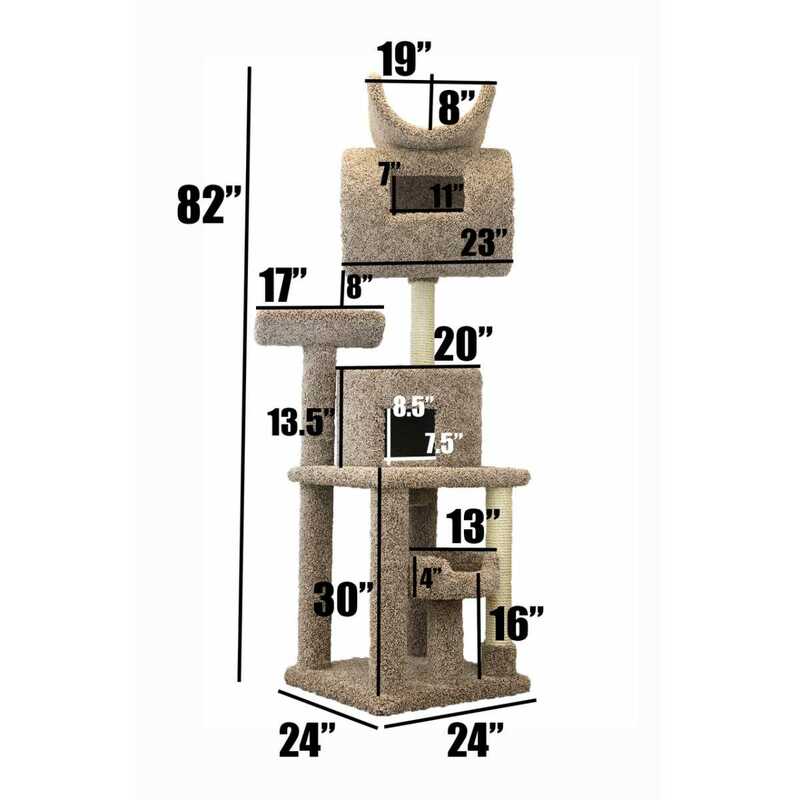 This premium cat tree is built for large cats, small cats or those that have multiple cats. 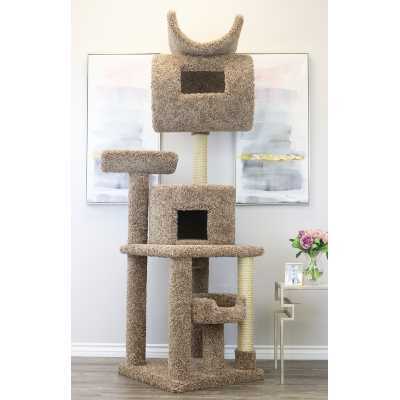 Featuring several very large resting hammock shaped perches, a large hide away condo for privacy and a huge tunnel with viewing window, this cat tree has everything your kitties can desire. 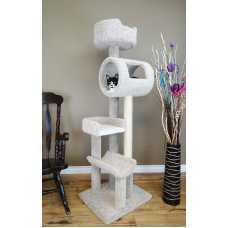 If you are concerned about your cats maneuvering about on this beautiful cat tower, rest assured as we have designed it with the ability for you to select the positioning of the perches offering easy access to the different levels of this Cat Tree House. We handcraft this purrfect piece with the best materials such as solid wood, extremely thick and plush household grade carpet and unoiled sisal rope. Materials are very important if you want your furniture to be strong, sturdy, safe and comfortable for your cat and this is exactly what we strive for. 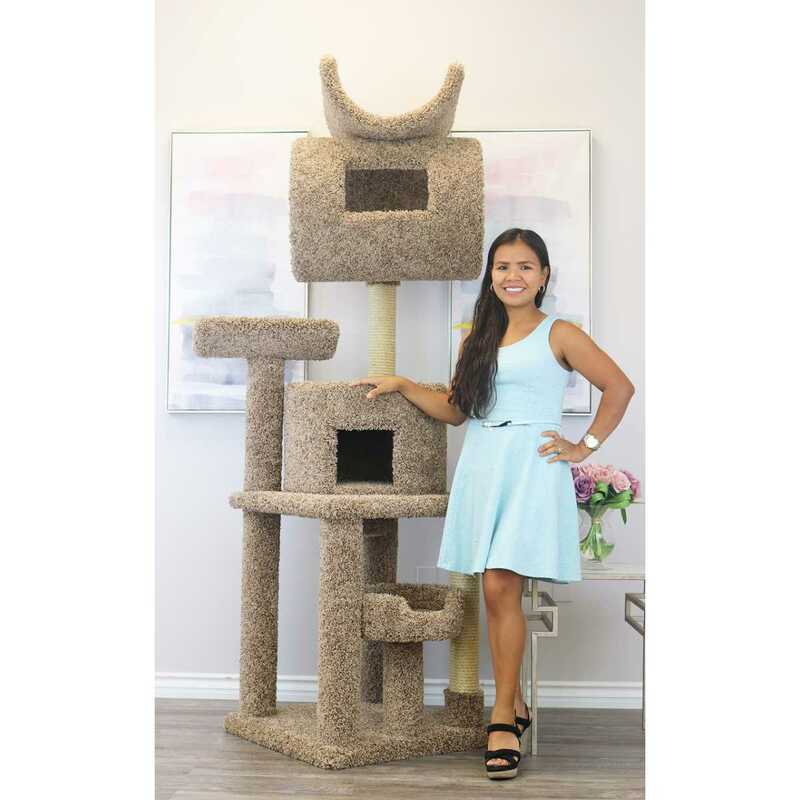 We have proudly built the Extra Large Cat Tower in the USA and look forward to spoiling your kitty with their own wonderful piece of cat furniture. Base is 24" x 24"